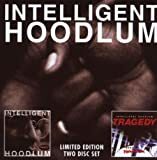 Remember The Intelligent Hoodlum? Of course! Intelligent Hoodlum known today as Tragedy Khadafi has a re release of his first two albums on Nature Sounds. Definitely look into this. Classic! !